It is time. Take the scooter cover off the bike. It is time to dust things off. You need to clear the cobwebs off the bike, and out of your mind. It is time to clear everything off, to get out, breath the fresh air. Let the wind blow on your face, feel the sunshine and the warmth. Empty your mind of all the pressure, feel the calmness of just the ride. Let the energy of the road and ride fill you with the alertness of what is around you . 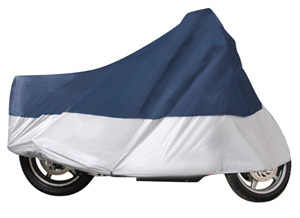 This entry was posted on Thursday, January 10th, 2013 at 10:57 am	and is filed under Scooter Covers. You can follow any responses to this entry through the RSS 2.0 feed. You can skip to the end and leave a response. Pinging is currently not allowed.